I’m not sure about everyone else, but when I was a kid it was always fun playing with pretend money. Be it Monopoly or play money or the occasional odd foreign coin that would find their way into my hands, I was good for all of it. Even when it was presented to me as an edible treat. Before you would eat it, it was a secret treasure. While commonly encountered as foil-covered chocolate coins, the concept of candy served up in a form appealing to the numismatist (a coin collector) is a recurring theme even in non-chocolate candy. 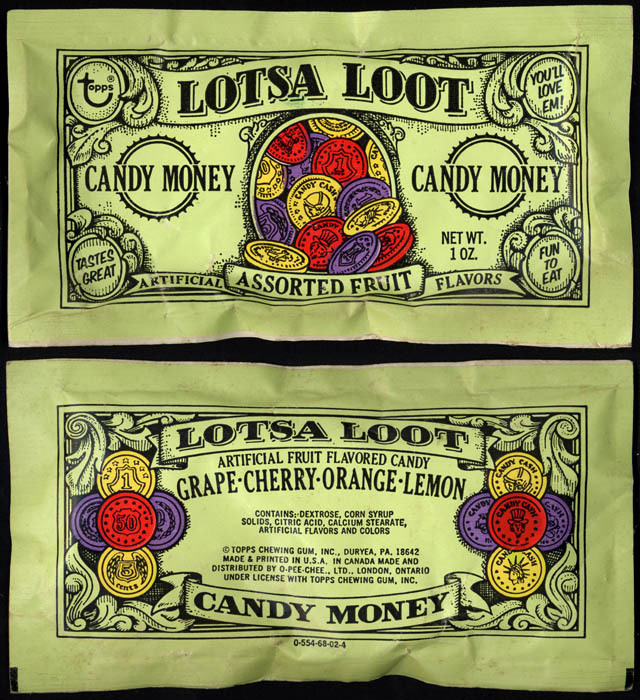 The Topps company produced at least two novelty candy coin offerings that I’ve come across, and today I’ll be covering my favorite of them: Lotsa Loot. 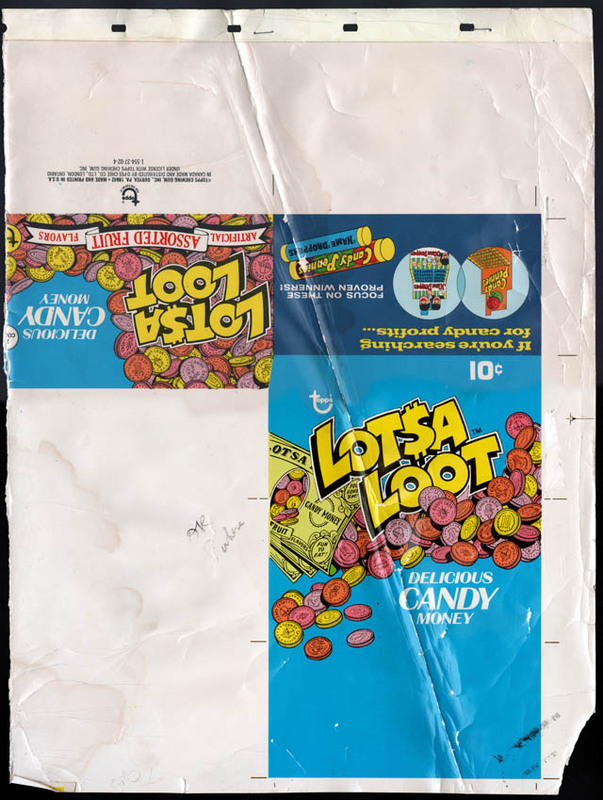 Sold in the early-to-mid 1970’s, Lotsa Loot likely competed with products such as Sweettarts and Bottle Caps. Featuring similar packaging, the candy also approximated the look and size of those other confections, while offering a standard array of flavors. After looking for a Lotsa Loot pack for quite some time, I was thrilled when I recently added this sealed example to my collection. As to the dates on this one, I can only make an educated guess. Lacking any UPC on the package would typically indicate that this pack dates to the earlier 70’s, but that is not a hard rule. UPC’s first started making their on-product appearances in 1974 but they were not widely adopted until later in the decade. And that’s everything I’ve got, and in fact everything I’ve ever seen, on Lotsa Loot. It was a great release from a period in Topps’ history of novelty candy that I’m quite fond of. 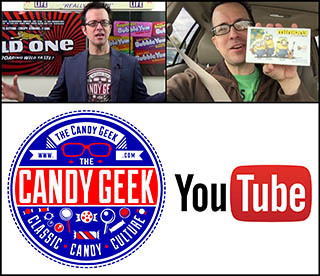 Drop back in tomorrow for CollectingCandy.com’s weekly Wacky Wednesdays! This entry was posted in 1970's, Hard Candy, Topps and tagged 1970's, 70's, candy, collectible, collecting, collection, confection, design, packaging, retro, sweets, Topps, vintage, wrappers. Bookmark the permalink. 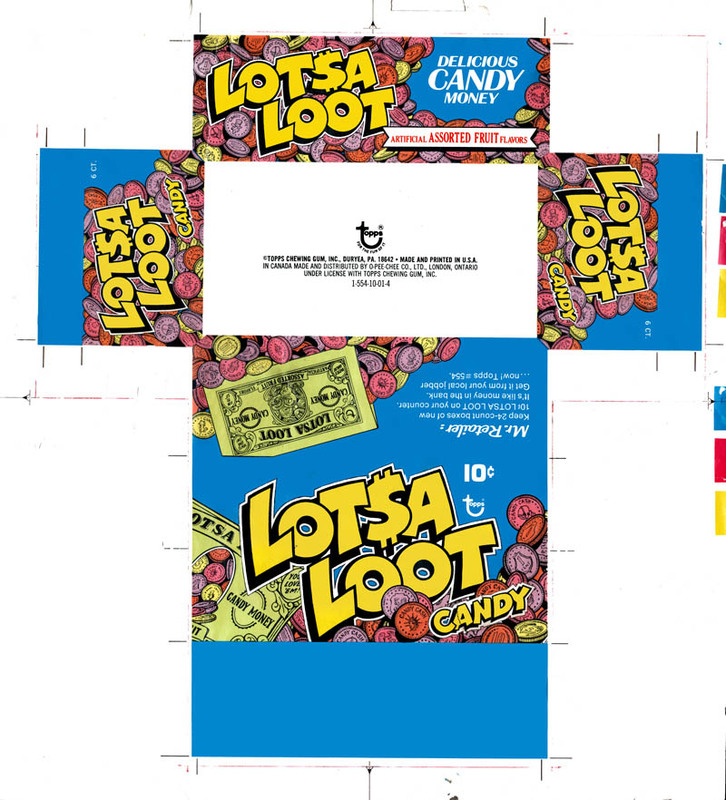 4 Responses to Topps’ Lotsa Loot – Money, Money, Money, Money – Candy-Money! Once again you’ve dug out a piece of obscure candy history that I had forgotten about. Thanks! Got any info or pics on ChocoLotto? I don’t think so. Can you tell me what kind of candy it was, and when you recall buying it? Also, the size and colors of the package. If you can recall who made it, would be great too. Any additional info would help me, as I do sometimes forget things that I’ve seen and have photos of, if I’m not personally familiar with the brand. I like the name!